The world has changed. It is not the same place it was 10 years ago. The power of mobile phones and responsive devices are giving consumers the convenience to consume heaps of information and content from the Internet with a tap of their finger. We see many websites that are stuck in the '00's, the same old About Us, Contact Us, style of website. With consumers readily able to find content on their mobiles, are you providing the right content for them to discover you? Is your Google footprint big enough to be found easily by your target audience? Search engine marketing places you in front of where your customers are looking. Many businesses pay for the right to be in front of the customers through Google AdWords. 1) Address the challenges of your consumers. It's a valuable exercise to sit down and write up the problems that your customers are facing then create the answers. Answers to questions are what consumers are seeking on the Internet. 2) Provide thought leadership in your marketplace. Create a blog and become a commentator on your industry. Build your social media channels and start telling the world about what you know. 3) Update your FAQ daily. 4) Create a page that specifically talks about your competitors (in a positive light). Competitive analysis is what people are looking for when deciding opportunity costs decisions. By putting content about your competitors, you then increase the chances of being found. Particularly if your competitors are bigger and more prevalent on the Internet than you. Price is the one thing everybody wants to know about. Ironically, it's the topic most people are too scared to broach on their website. Tell the people what they want to hear and you will benefit. One might come to the conclusion that all this takes time and effort. Yes, it does. But, with effort and investment comes an acceptance that times have changed. 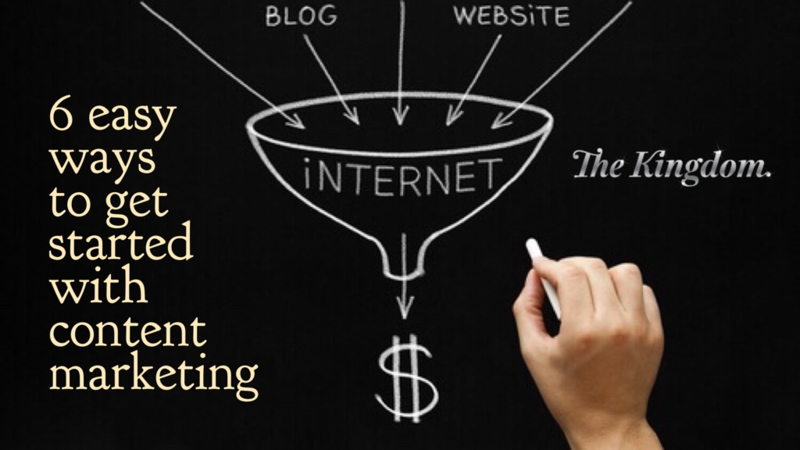 Content marketing is becoming a huge part of the way we talk with customers in the Internet age. Content creation is an investment in your future security. Do you need help? As a HubSpot Certified Partner, we can introduce you into the world of automated marketing software, which makes the job of creating content faster, easier and more efficient.